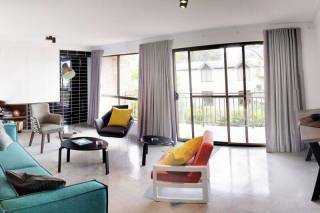 RIGHT IN THE HEART OF PADDINGTON THIS 1 BEDROOM UNIT IS CLOSE TO ALL THE AREA AMENTITIES. QUIET, WITH 360 DEGREE ROOFTOP VIEWS, LIFT AND CLOSE TO TRANSPORT. 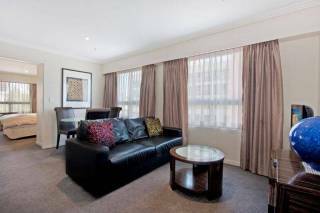 This 1 bedroom fully furnished unit is ideal for a Sydney visit. On the 6th Floor of a small tower, it is quiet, with extensive views from every room. It has a balcony with views, a spacious kitchen area with electric stove, dishwasher, dining for four, polished wood floors, intercom, TV, wifi connection and easy access to a generous roof top entertaining area with views from the Heads to the Bridge and around to Bondi. The bedroom is light and airy with large opening windows with more of those views, and the bathroom has a full bath and shower. Paddington is full of exciting shops, famous boutiques, clubs, pubs, cafes and restaurants, and they are all close by, with just a few minutes walk to Queen Street Woollahra. The apartment is also very close to the Sydney Cricket Ground and SFS! 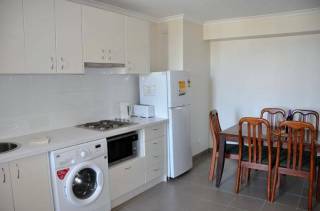 Public transport to the City, Bondi Beach and other destinations are a stone’s throw away, and you can walk to Centennial Park with its horse-riding and picnic areas, Foxtel studios and cinemas. Golf Clubs, Schools, Junction Mall and the Harbour are also close. 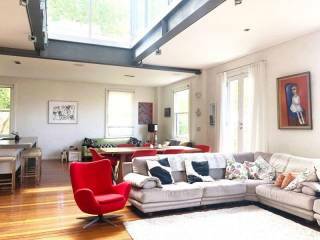 The Unit is quiet, easily looked after, and ideal for a perfect Sydney stay.